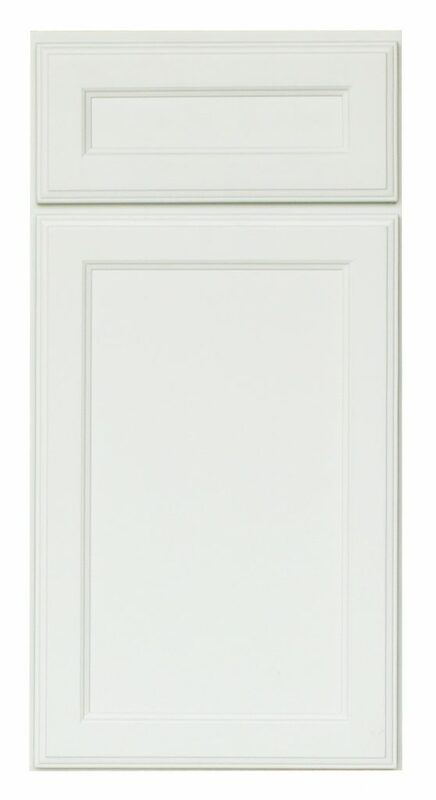 This crisp white painted finish is ideal for a variety of design styles from simplistic casual to modern transitional. 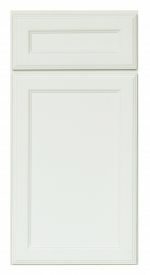 The Hampton is a full overlay door style with a wood veneered recessed center panel design and decorative five piece drawer front to match the door. 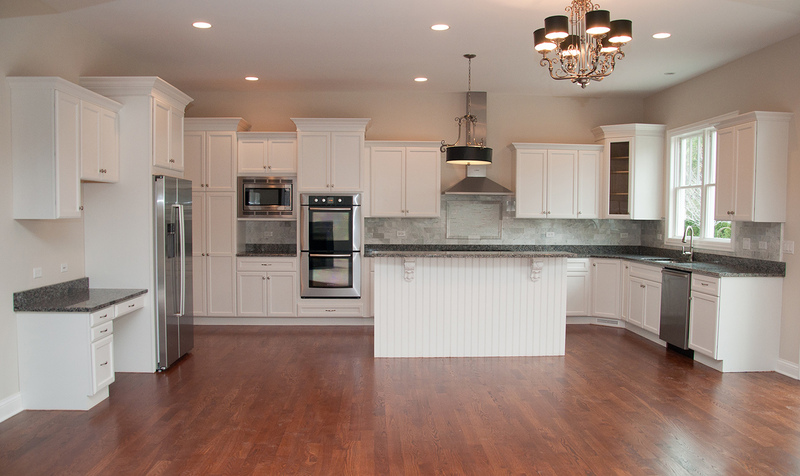 Both drawer and door boast solid hardwood maple frames joined by mortis and tenon and detailed with a subtle profile to the inner and outer edge.